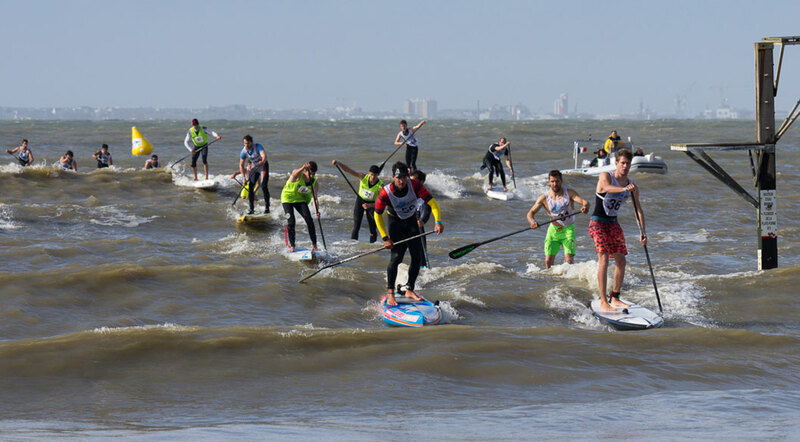 In a sign that French national team selectors got their men’s racing picks spot on, Eric Terrien and Titouan Puyo have gone one-two at the Jade Paddle Race in France, just days before they jet off to Nicaragua to represent their nation. With waves, wind and what looks to be very cold water, the Eric out-lasted a classy field that featured several of France’s finest paddlers. 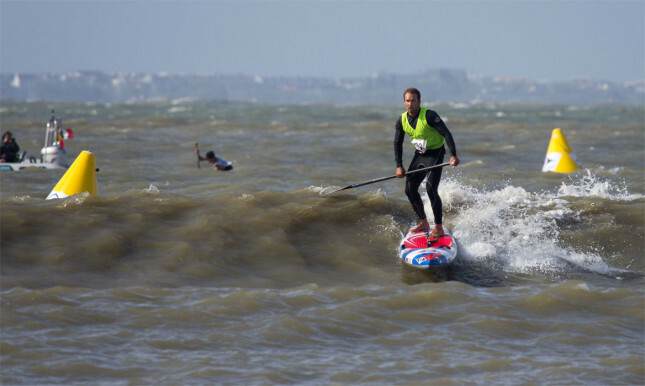 The BIC team rider finished half a minute clear of Titou (or simply: “Ti2”) while one of France’s original stand up paddle racers, Greg Closier, finished a very close third. It was a fitting victory for Eric as the race was held in his childhood hometown of La Plaine sur Mer. There’s a full write up (and more pics) on the Surfing France site. Eric and Ti2 only have a few days to rest before hopping on the plane to Managua, where they’ll be up against a select bunch of international paddlers at the 2014 ISA World Stand Up Paddle and Paddleboard Championship. Actually it was a busy weekend for several of the ISA Worlds’ leading contenders: Apart from the race in France, there was that little thing happening in Carolina as well, which featured at least half a dozen ISA athletes. Chuck Glynn finished 7th, seconds ahead of his U.S. team mate Slater Trout. Meanwhile the Team Australia duo of Lincoln Dews and Toby Cracknell finished 9th and 10th respectively. Over in the women’s race it was a super close battle, with Jenny Kalmbach (who’ll be representing Costa Rica – yes, Costa Rica – next week) taking 2nd place ahead of Team Canada’s Lina Augaitis. Thanks to the French SUP Magazine for the results.